Fri-YAY! Flower Edition. | iamstylingonyou. I am super big on self care and through practice I have discovered self care comes in more ways than just caring for your physical. One of the ways that I practice self care is buying myself weekly (or bi weekly depending on the money flow 😉 ) flowers. I grew up with my mom buying flowers or plants for our home as she was very into the practice Chakra energy and making sure there was always something “living” at home all the time. As a young adult I never really bought them for myself because I once subscribed to the belief that the only way I could have flowers is if they were given to me. Then you grow up and realize that’s crazy as hell and if you like flowers in your space you buy them, arrange them, and enjoy the beauty. So I started buying them from my local farmers market close to to closing time ( because they are cheaper) or Trader Joe’s (affordable, mostly local, and good selection. )I often like to express my creativity in my space in semi practical ways so I really enjoy making arrangements. So here’s some tips to make your flowers last as long and beautiful as possible. If you don’t have those preservation packs…use sugar! My mom taught me this trick. Dissolve a half of teaspoon of sugar in the water and it helps your flowers stay alive and pretty just like the packs. Cut the stems on an angle and often. I give my stems a trim about half way throughout the week and change the water to prolong the life. (if you do this you can easily get a 2 week shelf life out of your stems. Get Economical! Some weeks I can stretch my bouquets by now throwing the whole thing out. I go through and see which stems still have some life in them. Throw out the dead ones and then add my new stems to my existing ones. Get creative! Think about your space. 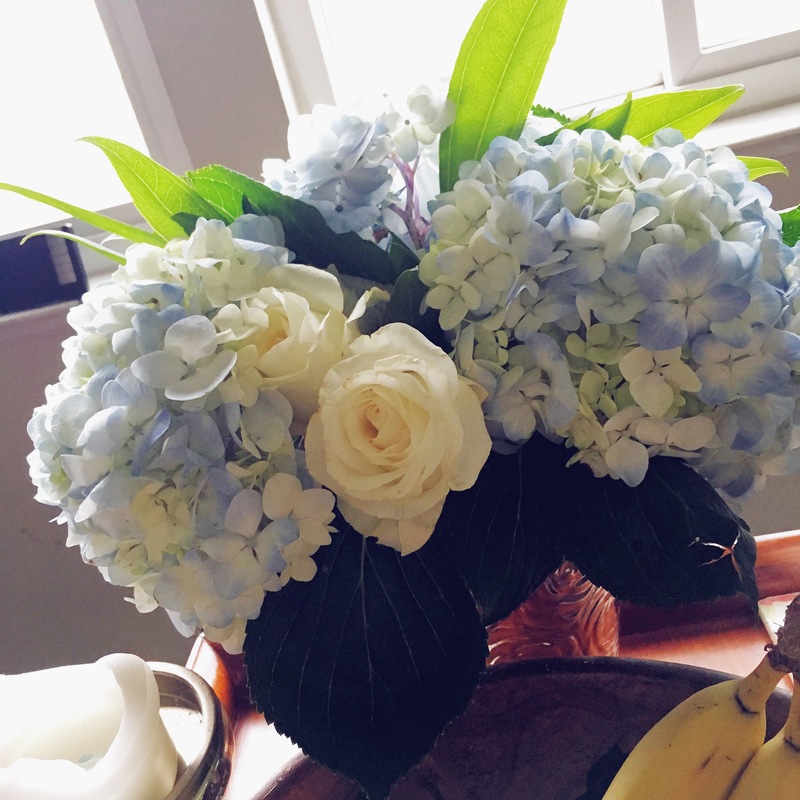 Pick flowers that may contrast of bounce off of your decor. Or pick something that stands out so much it pops when you come in the room. Try getting getting types of flowers but have them all be the same color. You can also mess with texture. Have fun with it. Go out this weekend and treat yourself to some flowers. Put them in a spot that gets decent sunlight and where you can see them. I promise it will automatically boost your mood.